"You Don't Need A Silver Fork To Eat Good Food"
We are Tampa Urban Benefit Farms, or as we like to call ourselves - TUB Farms! TUB Farms is a non-profit focused on providing fresh produce to those in our community who rely on food assistance or who have limited access to fresh vegetables. 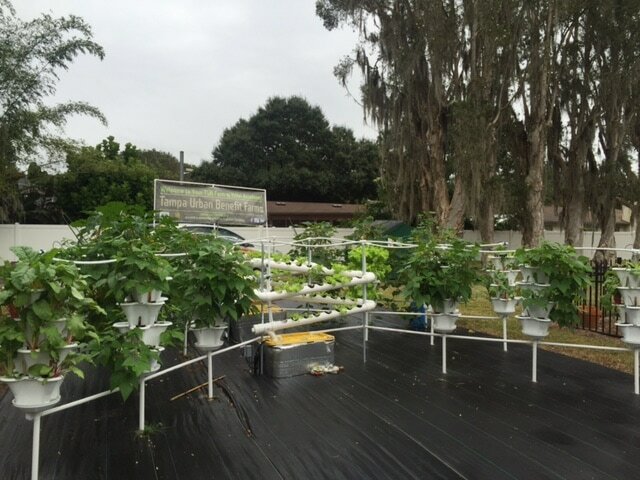 One way we achieve our goal is by installing large hydroponic gardens at schools, and then working with students to plant, grow, and harvest the vegetables for donation. We are only as healthy as the food we put into our bodies, and for too many in our community who rely on food assistance the access to truly healthy nutritious food is extremely limited. Here at TUB Farms we want to be part of the solution. 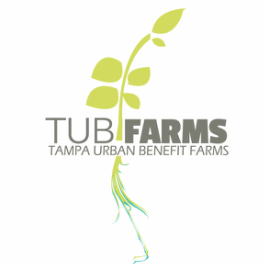 Our dream is to have local businesses, individuals and organizations become sponsors of a TUB Farm, and by doing so, sponsors of the good health of our Tampa Bay community. The TUB Farms installed at schools are truly unique. Students will also discover their own ability to make a difference in their community by donating the fresh produce they have grown. Each TUB Farm school is paired with an organization that will benefit from the donation of the fresh produce. Our first TUB farm can hold up to 385 plants!